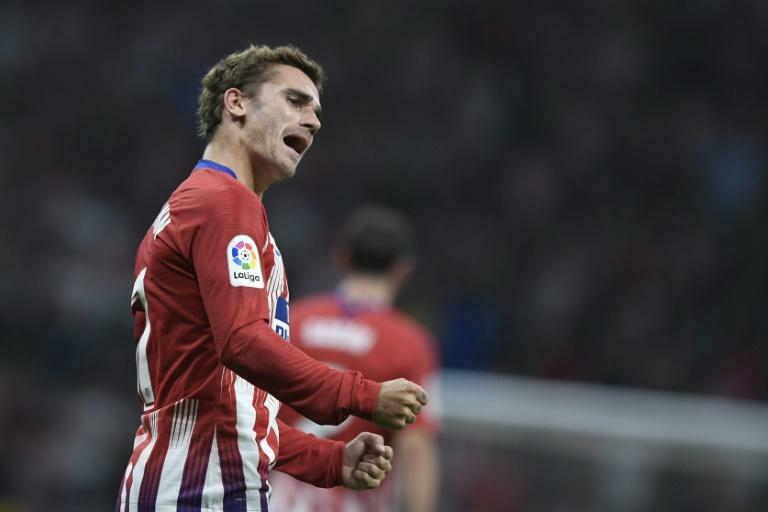 Antoine Griezmann scored the winner as Atletico Madrid notched their first La Liga victory of the campaign by edging out Rayo Vallecano 1-0 at the Wanda Metropolitano on Saturday. The French World Cup-winner struck in the 63rd minute as Diego Simeone's men sent their newly-promoted visitors to a second straight defeat. Atletico, who have been tipped to challenge Barcelona and Real Madrid for the title this term, kicked off their campaign with a 1-1 draw at Valencia on the opening weekend. But despite labouring for long periods, they proved too strong for an impressive Rayo, who were champions of the second-tier Segunda Division last term. Reigning champions Barcelona will look to back up their opening win over Alaves later on Saturday when they take on Valladolid, before Champions League holders Real Madrid face Girona on Sunday. Atletico were unsurprisingly the stronger team in the first half, with big-money signing Thomas Lemar denied his first goal since joining from Monaco by a good save from Rayo goalkeeper Alberto Garcia. A VAR review for an Atletico penalty appeal ruled in Rayo's favour shortly before half-time, but the hosts broke the deadlock through Griezmann. Montenegrin centre-back Stefan Savic climbed highest to nod down a corner, and Griezmann, who scored 29 goals in all competitions last season, swivelled to slot into the net. Atletico struggled to close out the win, though, with goalkeeper Jan Oblak having to keep out Adri Embarba's free-kick and dive at the feet of Alex Moreno to smother the full-back's effort. But the Slovenian 'keeper kept his best save for the 90th minute, as he sprung to his right to beat away Sergio Moreno's well-struck shot and ensure Atletico took all three points. Threats of a player strike over plans to stage La Liga matches in the United States had overshadowed the build-up to the weekend, and Real Madrid coach Julen Lopetegui gave his full backing to the players. "I'm absolutely at the side of the players, they have arguments and reasons to think what they think," he said. "I sincerely don't understand (the US plans). That's my opinion, and from here, the decision-makers will decide, but I'm in line with the feelings of the players."